Once upon a time, there was a battle between two generals, in the end, we can see just a winner. I’m sure you’ve been in a state of dilemma, we all know that investment is the key, but reading this story will strengthen you more. In this story, I'm confident you will learn so many things along the way regardless of seeing the runner-up as the loser. here, I said RUNNER UP, and not a loser, please try and understand my reason. 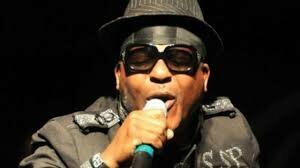 Sir Oluwashina Akanbi Peters (Shina Peters) was brought to this world on 30 May 1958. A native of Ogun State, Nigeria. A renowned Jùjú musician. He started his career as a young-talented blessing to the citizen of Nigeria, and till today he remains a blessing. Yeah! He had achieved a lot to the extent of serving as a role model to some upcoming artist. 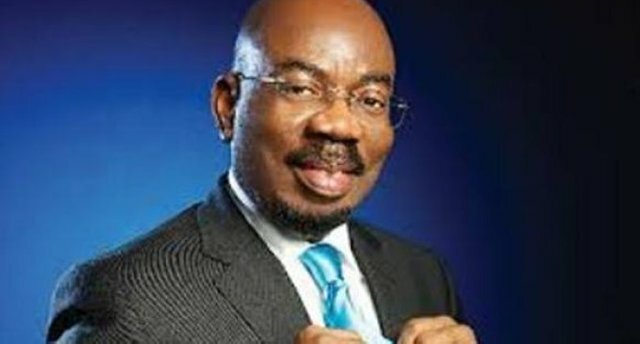 His counterpart, Jim Ovia is the founder of a commercial Bank in Nigeria (Zenith Bank), this bank is one of the largest commercial banks in Nigeria today. He is from the Eastern part of my dear nation. He has engaged himself in so many investments and this has really earned him a name in Forbes Magazine. This gentleman worths 980 million dollars. You should know there is a tangible reason introducing these men; they are both successful in their fields, but I’m quite sure you would love to take one as your role-model, and if possible, you are free to pick both at the end of this story. Sir Peters built his house in Iju, Lagos State, back then it is a place most wealthy Nigerians hoped to have a house, even the Dreamers chose to have an abode there, but today, I can’t even plan to build a store there. The house is still there. on the contrary, Jim’s Bank started in a corner, and over 500 branches have been created over the years. Fortunately, it has gained a stand internationally. Its natural today that several Million roll in by transacting in Jim’s Bank on a daily basis. Unfortunately, Shina’s building is aesthetically deteriorating every day and needs to be renovated in 2015. Again, he got another liability in this same year, he bought a Nissan Pathfinder worth of N10 million. This year Jim’s Bank made N105.7 billion. Today, Zenith Bank Is a pool of employment opportunities for not only Nigerians but also some countries out of our dear Nation. 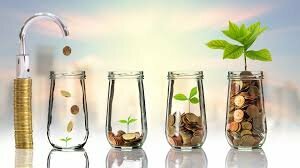 It’s simple, the values of investments are incredible, in the sense that, an asset worth 10 dollars is likely to be huge in the next 10 years; that is how the world is been programmed, and nothing could change this momentum. However, a liability that worths $10 thousand, added to someone's list this year might be valueless in a few years to come, as technology is improving on a daily basis. I will say, Never!!! Should you risk your money on any senseless asset. Morals: Today the difference is obvious, as no Nigerian has a room in Shina’s house, also this big asset to my understanding should be fetching him more money and prestige, rather it is taking away his hard earned money, as he has got to maintain it. Today, the Zenith's customer base is extremely amazing, as a lot of customers pump in on a daily basis, if not hourly. Some were forced through other banks mismanagement of funds, while others are thrilled by their service to open an account with them (Zenith Bank). Spend the little you have wisely, and be proud of yourself in the future. NOTE: this write-up is not written to tarnish anyone’s image, but just to enlighten and orientate we youths of today. Let's get up and think wide.